The U.S. Senate successfully passed a bipartisan resolution on Wednesday condemning anti-LGBTQ persecution and violence in the semi-autonomous Russian region of Chechnya. Senate Resolution 211, which was introduced by Pat Toomey, Republican of Pennsylvania, and Ed Markey, Democrat of Massachusetts, is a companion resolution to a bipartisan measure the House of Representatives passed in June. "The Senate condemns the violence and persecution in Chechnya and calls on Chechen officials to immediately cease the abduction, detention, and torture of individuals on the basis of their actual or suspected sexual orientation, and hold accountable all those involved in perpetrating such abuses," the resolution states. The resolution also calls on Russia "to protect the human rights of all its citizens, condemn the violence and persecution, investigate the allegations in Chechnya, and hold accountable all those involved in perpetrating such abuses." 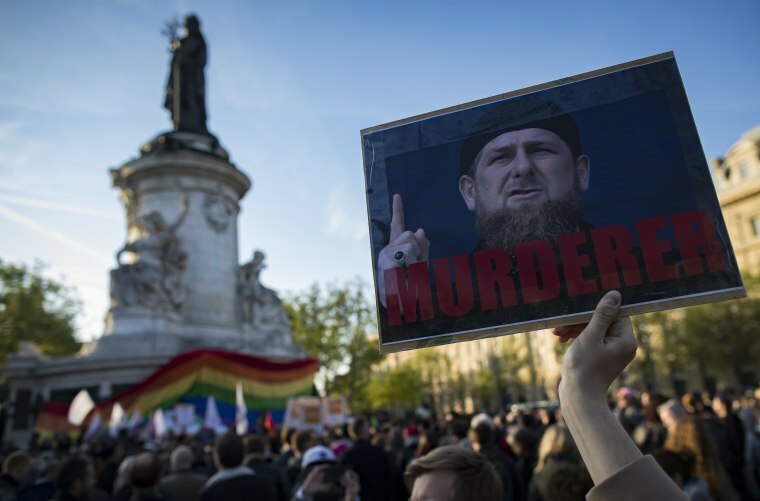 Chechen leader Ramzan Kadyrov and other officials in the region have denied any crackdown on gay people. In an interview during HBO's "Real Sports With Bryant Gumbel" that aired in July, Kadyrov went so far as to say," We don't have any gays" in Chechnya and referred to gay people as "devils" and "subhuman." While human rights advocates have been largely disappointed with the Trump administration's response to what some are calling an "anti-gay purge" in Chechnya, Senate Resolution 211 calls on the U.S. government to "continue to condemn the violence and persecution in Chechnya, demand the release of individuals wrongfully detained, and identify those individuals whose involvement in this violence qualifies for the imposition of sanctions." “The U.S. Senate just sent a powerful message. Despite the deafening silence from the White House, the people of the United States strongly condemn these anti-LGBTQ attacks in Chechnya,” Ty Cobb, a director at LGBTQ advocacy group Human Rights Campaign, said in a statement. While President Donald Trump and Secretary of State Rex Tillerson have so far been silent on Chechnya, U.S. Ambassador to the United Nations Nikki Haley has spoken out against the reported anti-LGBTQ campaign, and a spokesperson for the U.S. Department of State released a statement saying members of the department are "concerned" and "disturbed" by the situation. Following the passage of the resolution on Wednesday, Sen. Toomey had strong words for the Chechen leaders, writing on Twitter that their "actions against gay men are cowardly, abhorrent, & serious human rights violations."